of love that allows you to heal yourself and others. help to take your life towards joy and abundance. The word Reiki is a Japanese word meaning Universal Life Force Energy. 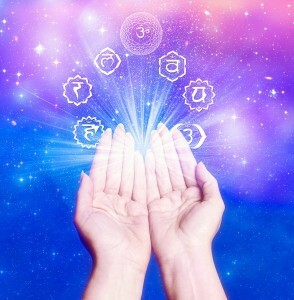 Kryon New Age Reiki is a balancing, energising & healing energy that works beyond feelings, faith, belief system & religion. It is a holistic energy which flows wherever required bringing in gratitude and abundance. * Animals, Trees , electronics, books, traffic, thoughts, projects, processes, etc. I wanted to share certain permanent changes in me after doing Reiki. I was non-vegetarian earlier. After doing Reiki, cant think of non-vegetarian at all. I used to talk without thinking (very blunt) now i talk to the point but in a matured manner. Reiki is helping me to stay calm and focussed. Feeling awesomly great. I had no idea what to expect and reached the venue without really knowing what I was in for. From the word ‘go’, I took to it like a fish takes to water. I do not know if Reiki is an art or a science or a combination of both. But, it sure is a rare experience, an experiential treat! As we pray in gratitude, make an affirmation and begin to harness the metaphysical energy in two cupped hands, the MAGIC begins. Once we allow the body to be a medium, the process takes over. Eyes closed, one awake but not fully awake; one is quiet but not really asleep. Slowly the cleansing begins, the chakras open up and the body becomes feather-light, almost floating and meditative. Thank you for being the MAGIC in our lives!